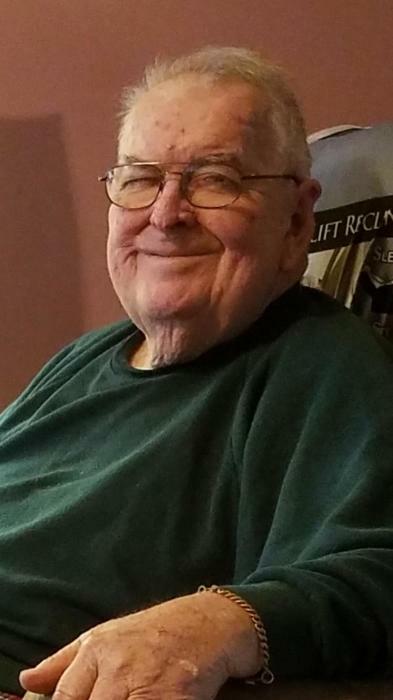 Carl John Roach, 80, of Hilliard, FL and formerly of New Port Richey, FL moved peacefully into heaven on Friday, January 18, 2019. He was a former mechanic and served for the Shore Patrol for the US Navy and Navy Reserves. Carl was an avid hunter, gun collector and loved the outdoors but most of all he loved to create treasures. Carl never met a stranger. He was an active member of Ephesus Baptist Church. He was preceded in death by his parents: Carl and Sophia Roach. He is survived by his wife of 30 years: Shirley McDonald Roach; his loving children: Carl “Chuck” Roach of Hudson, FL and Patricia “Cissy” Roach (Brian) Carnes of Whittier, NC. A memorial service will be held Sunday, January 20 at Ephesus Baptist Church at 2:00 PM with Rev. Marvin Lee officiating.